AOC -- Really a Mastermind? 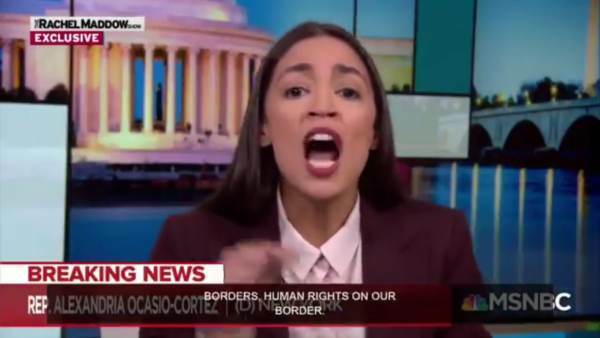 After posting her long-anticipated “Green New Deal” on her official site, visionary Alexandria Ocasio-Cortez surprised many of her fans–or as she prefers to call them, “constituents”–by removing it mere hours later. Citizens across the country (perhaps even the globe) gasped audibly as they saw their utopian guide inexplicably disappear. What her supporters fail to realize is that in removing her New Deal from public viewing before 5 P.M., she got the political drop on her detractors. By publicizing it just while Republicans were at work, she ensured that only Democrats would see it. Hence, she has ensured that only her closest allies will know the plan of attack, while Republicans carelessly go about their daily business. And unbeknownst to them, they just worked their 12-hour shifts to pay for a program that they will never see until it has safely passed. The Democrats in New York are actually redistricting her district. So she will only be a one time Loser. Her district is section 8 housing. They want to give her some hard working tax paying constituents and see how well she does with other people's money, when it's their vote. It would be hilarious if a Republican won that newly modified district. Democrats in New York State may redraw their map to eliminate radical Socialist Alexandria Ocasio-Cortez’s district after the 2020 election. As reported earlier, some House Democrats are privately floating the idea of a primary challenge for freshman Congresswoman Alexandria Ocasio-Cortez. The Pelosi wing of the Democrat Party is not happy with their new Socialist superstar. Following the 2020 census, every state will draw new district boundaries to reflect changes in the population, the political implications of which will stretch for at least the next decade. In 2014, New York approved a constitutional amendment establishing a nonpartisan redistricting commission, which is set to take over the redistricting process starting in 2020. The 10-member commission, meant to be independent from the legislature, is made up of individuals selected by leaders from the state Senate and Assembly, and the original eight members pick two additional members. But Ocasio-Cortez’s most determined adversaries are not partisan Republicans, but Democrats who say that she has been a disruptive influence. The Hill recently reported that at least one member of Congress has been urging New York party leaders to recruit a Democratic primary challenger to Ocasio-Cortez. But the news led to a surge of donations to Ocasio-Cortez, suggesting that a more efficient means of ousting her might be simply to eliminate her district. in the catastrophic rollout of her “green new deal”, aoc violated the pelosi rule — which is to not reveal the plan until after it’s passed by congress! The Democrats in New York are actually redistricting her district. So she will only be a one time Loser. There's nothing stopping her from moving, tho. She's a Millennial, after all. So accordingly, she'll go backpacking for 6 months in South America, then come home where her team will have found some district candidates ripe for her to pull the same primary upset she did before and she'll set up residence there. New Mexico, Heavy Rent-controlled areas of SF, Boston...even other districts in NY city. Doesn't matter. The Old Guard has zero clue in getting any of this than they do in getting the true 411 on Trump and the Deplorables.